Big Idea: Geographic factors promote or impede the movement of people, products and ideas. I can describe the geography of the civilization we are studying. I can explain how geographic features promote (help) or impede (hurt) the movement of people, products and ideas. 4. Regions of Ancient Greece- Label- Macedonia, Peloponnesus and Asia Minor in capital letters. Links to fill out the map. Step 2- Put a compass somewhere on your map. Step 3 – Create a key to show what each color stands for (regions, water, mountains, Islands, and cities). Now that you have finished your map on ancient Greece, your are now going to take a quiz. You may use your notes on the quiz. Click on the Socrative image to complete the geography quiz. Please read the reading passage on the geography of ancient Greece and complete the worksheet that was handed out in class. Please hand in the worksheet when you are finished. 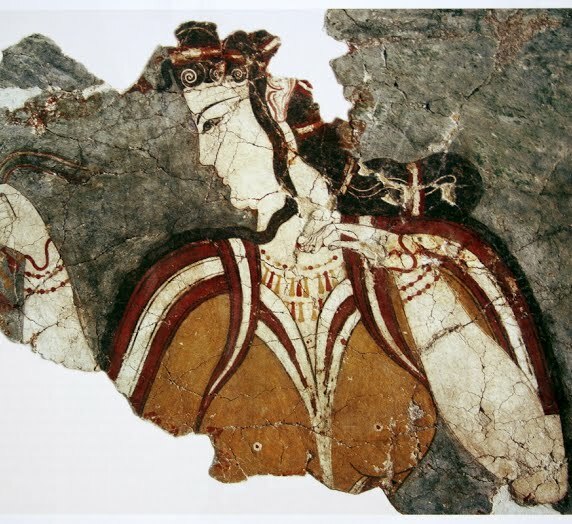 Click on the image to the left to take a more in depth look at Minoan and Mycenaean culture. Read the information on the page then take the quiz found on the left side to see how well you understood. Get a 100% and earn a signature. You must show me!